Dermatology & Laser of Del Mar will host a spring open house event on April 28, 2011. Beginning at 5:30 pm in the Del Mar, CA office, visitors can enjoy specially-crafted hors d’oeuvres provided by Chef Dennis of Four Seasons Catering, and spend time with board-certified San Diego dermatologist Deborah H. Atkin, M.D. and her team. Along with a laser skin rejuvenation seminar, Dr. Atkin will offer special deals on newly booked procedures, perform of live demonstration, and finish the evening with a skin care product giveaway. 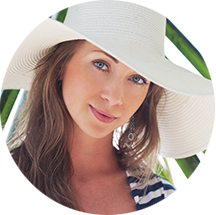 Dr. Deborah Atkin is a board-certified dermatologist in Del Mar, CA. On Thursday, April 28, 2011, she and her Dermatology & Laser of Del Mar team will host an open house to celebrate the spring season. Beginning with a meet and greet at 5:30 pm, visitors can mingle with Dr. Atkin while enjoying the latest creations from Four Seasons Catering courtesy of Chef Dennis, then enjoy a laser skin rejuvenation seminar on the cutting-edge technology from Fraxel Laser that is only available in a limited number of practices nationwide. As an added bonus, Dr. Atkin says she will be giving away skin care products and offering special deals on newly booked procedures. The laser seminar at Dermatology & Laser of Del Mar will highlight the innovative Re:Pair Plus 600 micron technology by Fraxel Laser, and include a live demonstration conducted by Dr. Atkin. Representatives from Fraxel and other well-known dermatology companies such as Restylane®, Perlane®, and BOTOX Cosmetic ® will also be in attendance to answer questions about the products offered at the state-of-the-art Dermatology & Laser of Del Mar facility. 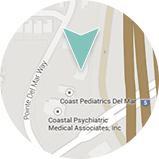 The Dermatology & Laser of Del Mar open house begins at 5:30 pm on April 28, 2011 in the Del Mar office located at 12865 Pointe Del Mar Way, Suite 160 in Del Mar, CA 92014. For more information about this event, including specific details about the skin care giveaway and the range of special savings, the practice can be reached at (858) 350-7546, or found online at dermdelmar.com and the Dermatology & Laser of Del Mar Facebook page. Deborah H. Atkin, MD received her medical degree from the University of California in Los Angeles. She then completed her dermatology training at the University of Arizona in Tucson. Dr. Atkin frequently lectures for the American Academy of Dermatology (AAD) and the American Society for Dermatologic Surgery (ASDS), and has authored numerous scientific articles on topics such as hair loss and laser skin care treatment. In addition to the AAD and ASDS, she is also a member of the American Society for laser Medicine and Surgery. Dr. Atkin is certified by the American Board of Dermatology, and says she strives to remain on the cutting-edge of the dermatologic industry in order to provide her patients with the most effective skin rejuvenation treatments available. Find more information about Dr. Atkin and her practice as dermdelmar.com.